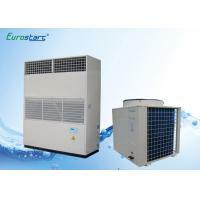 Eurostars air-cooled type packaged air conditioners, which are a combination of an indoor unit and an air-cooled outdoor unit, have been developed for free-blow or duct connection type air conditioning systems in domestic, commercial and industrial applications. The indoor unit is composed of hermetic type compressor(s), an evaporator, an evaporator fan(s), a fan motor and auxiliary components enclosed in a floor standing cabinet, which match any interior decor. 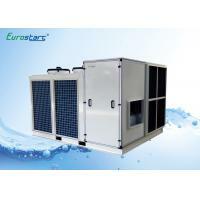 The outdoor unit is composed of an air-cooled condensers, a propeller fan(s) and a fan motor(s). 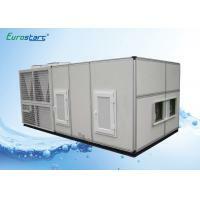 The weather-proof structure makes the outdoor unit suitable for rooftop, on-the-ground or other outdoor installations. 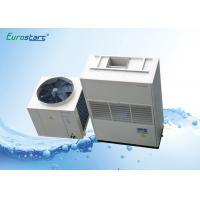 These completely factory-assembled and tested units provide minimum installation work and excellent performance, matching modern air conditioning requirements. 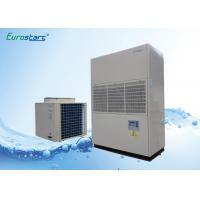 The heating operation and the humidifying operation are applicable, by equipping optional accessories. 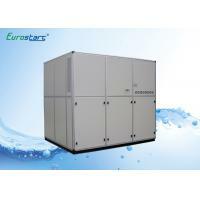 Adopts advanced well known high efficiency flexible scroll compressor, featuring better liquid handling; Continuous suction, compression and discharge ensures much less running loss, lower vibration, lower noise and higher reliability. Adopts copper tubes expanded to aluminum fins type condenser and evaporator, H or U type, together with best axial and centrifugal fan, ensures efficient heat exchange, big air volume and low noise. Multiple built-in protections to ensure high reliability and stability: high/low pressure switch protection, compressor overload protection, over current protection, phase sequence protection, start delay protection, oil heater, less cooling water flow protection, heating wire overheating protection, fusible plugs, fuse, etc. Adopts micro-computer intelligent controller, with user-friendly digital operation panel and high automation, and auto failure detection and alarming system when malfunction occurs. 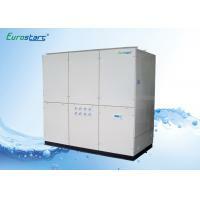 Adopts electrode humidifier and electrical heater for thermostatic and humidistat packaged air conditioner, featuring with high efficiency, high reliability and energy saving ; adopts primary filter, medium filter and high filter for purified air conditioner that is used for clean room or operating room, etc. 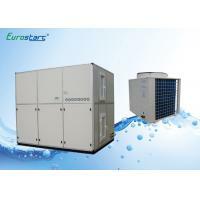 We, EUROSTARS, is a modern hi-tech enterprise, specializing in Heating Ventilation Air Conditioning and Industrial Refrigeration research, development, production, sales and engineering services. 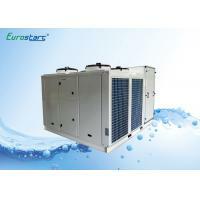 We strive to become the best Reliable Manufacturer and Supplier of High Quality Heating Ventilation Air Conditioning and Industrial Refrigeration, offer wide range of products and competitive price for meeting the customers' real demand. Perfect quality depends on the professional technical support team and standardized operation flow. 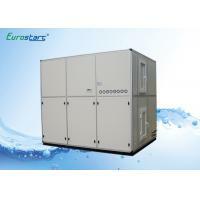 EUROSTARS owns advanced production and testing equipments, including assembly production lines for large and small units respectively, heat exchanger pipeline, CNC processing center, CNC punching and bending machine, pipe expanding machine, automatic welder, large national-level testing center for water cooled and air cooled chiller, national-level testing center for water (heat pump) unit, etc., thus ensuring product quality and services.